It’s all about shaping life-long learners. You wanted students to connect with teachers and succeed. You needed educator buy-in and excitement. 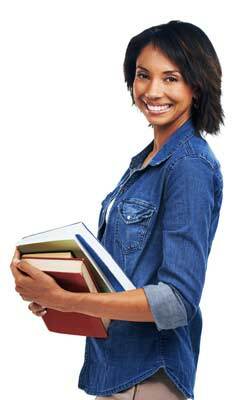 We listened and created the Edvance360 K-12 Learning Management System and Secure Social Network. Makes room for a “flipped classroom”, divergent paths, and adaptive learning. Edvance360 supports data-driven learning outcomes by ensuring teacher-created (or admin-created) objectives are aligned to gradebook assignments. The LMS interprets a student passings set assignment guidelines as meeting the objective/competency. Admin reports are also included. Drag-and-drop lesson-building tool enables teachers to make room for a “flipped classroom”, divergent paths, and adaptive learning. Using LTI and other one-click tools, teachers can integrate third-party vendors and material; fully SCORM and Common Cartridge compatible. Student progress is monitored within the learning management system – alerts and reports can be created based on criteria set by educators and administrators. 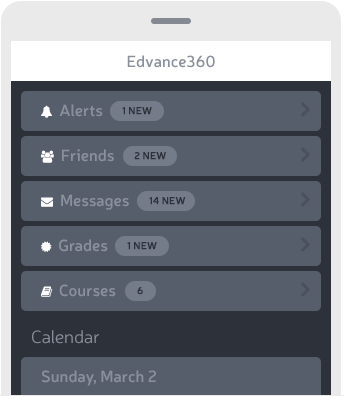 Provide parents with access to communication, alerts/reminders/announcements, and a shared calendar with their child’s activities on Edvance360’s K-12 LMS platform. Plus parents can receive direct access to course material and resources from teachers, student progress reports, communities, other parents, and more. 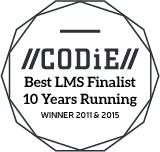 Managing several LMS sites for multiple schools is time consuming. Throw in Learning Outcomes Management, curriculum revisions/ version control, and reporting across campuses, and it becomes even more challenging. Edvance360’s Mothership Portal solves these challenges by providing a portal for district administrators, to which the sub-sites are linked. This enables administrators to manage their tasks across multiple sites from one location. In the Flipped Learning model, teachers shift direct learning out of the large group learning space and move it into the individual learning space, with the help of one of several technologies. Teachers record and narrate screencasts of work they do on their computer desktops, create videos of themselves teaching, or curate video lessons online.